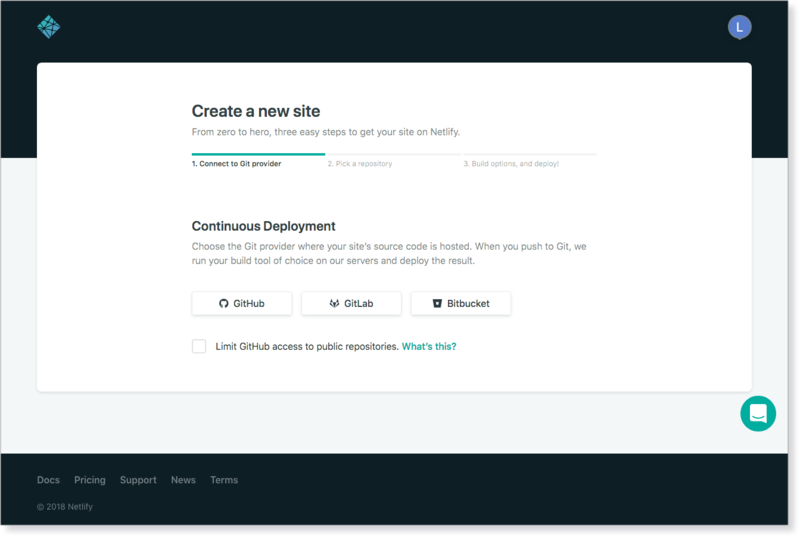 Today, we’re going to look at how to host a website built with Hexo on Netlify, including setting up continuous deployment. Let’s start from scratch. 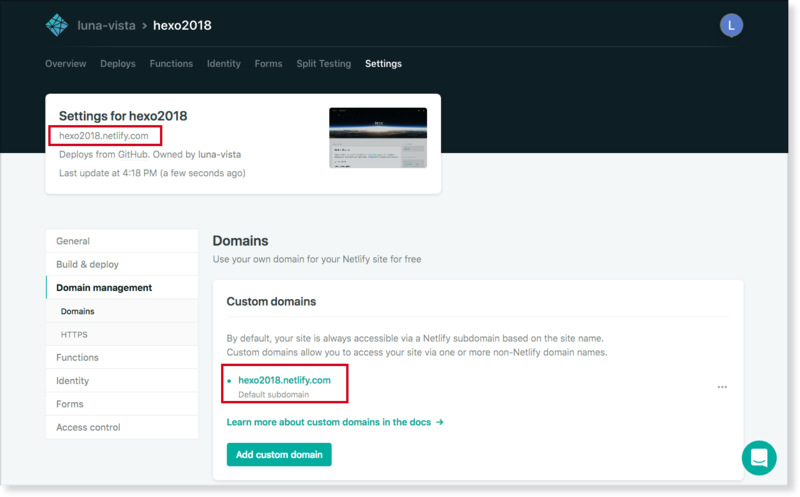 If you already have a Hexo site set up, you can skip straight to the Connecting to Netlify section. Wow. Seriously, that’s it. You’re already done. Of course, you’ll probably want to add some content (that’s why you are building a site in the first place, isn’t it?). 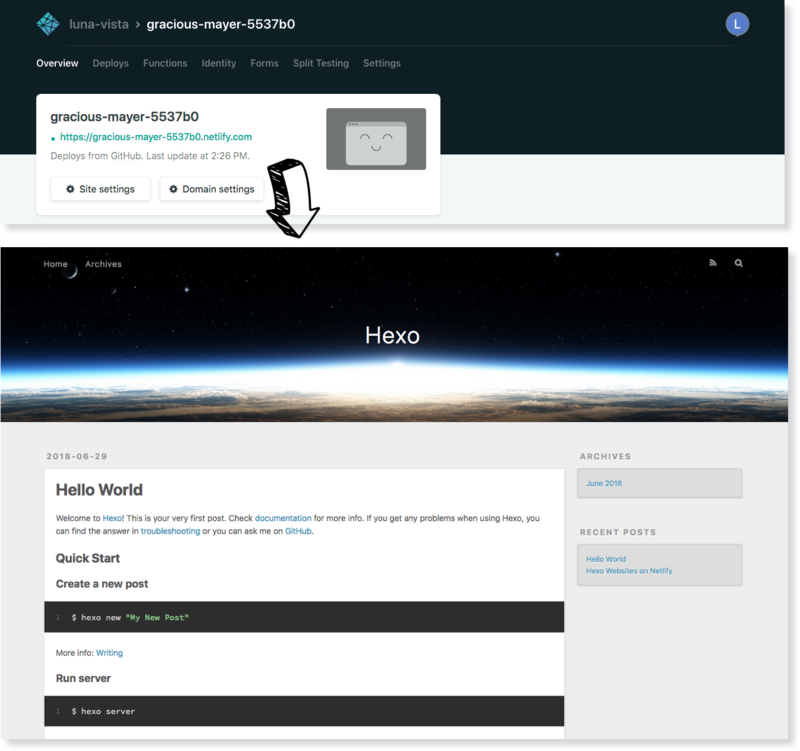 hexo new "Hexo Websites on Netlify"
It even gives you a helpful file path for your new post. Follow that file path to open your new Markdown document (or just paste that path into the “Open” dialogue of your favorite text editor). This is how easy it is to create a static website hosted with Netlify. The title and date are already set up. You can copy/paste in the above content to get a better idea of how Hexo handles text. Boom! Look at that new post. Like what you see? Great. Let’s move on! For our purposes, let’s call your new repo “hexo”. 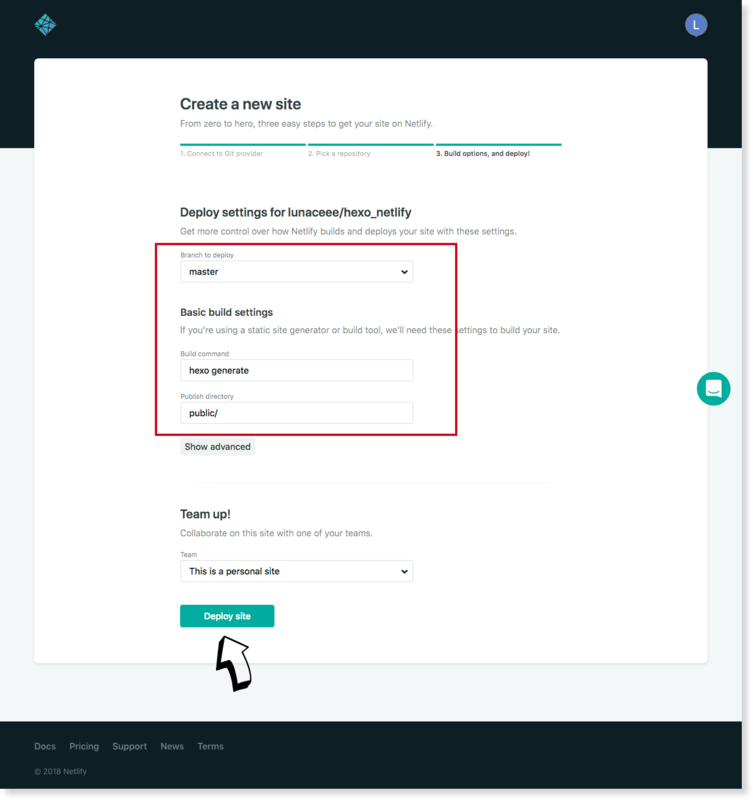 Creating a new site on Netlify is simple. Once you’ve logged in, you’ll be taken to https://app.netlify.com/account/sites. If you’re just starting out, there’s only one option. 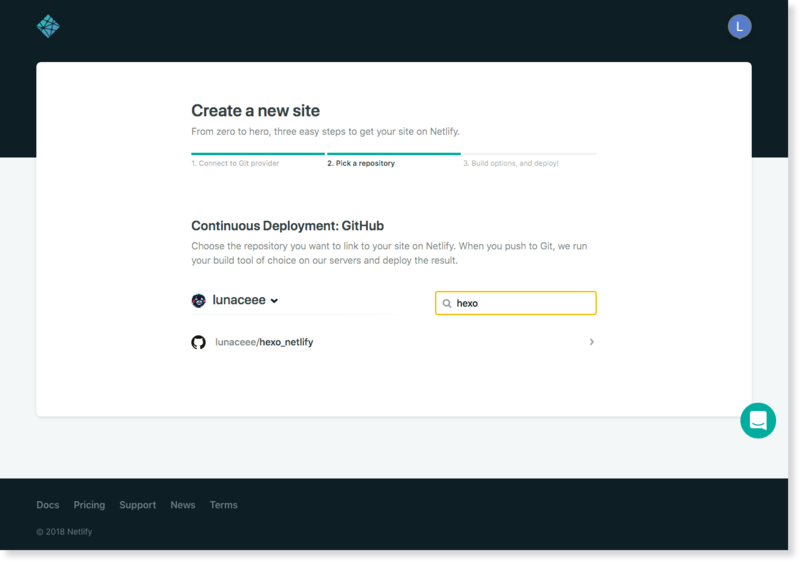 Since your assets are hosted on GitHub, we’ll need to link Netlify to GitHub. Click “GitHub”. It’s time to allow Netlify and GitHub to talk to each other. Clicking the “Authorize Application” button will do just that. 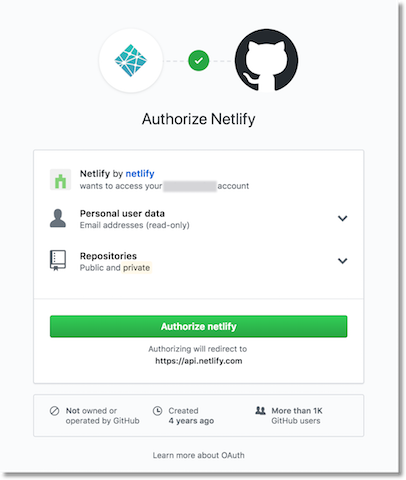 Netlify doesn’t store your GitHub access token on our servers. If you’d like to know more about the permissions Netlify requests and why we need them, please refer to GitHub permissions. Now that you’ve connected Netlify and GitHub, you can see a list of your Git repos. There’s the “hexo_netlify” repo we just pushed to GitHub. Let’s select it. Here you can configure your options. For the purposes of this tutorial, there’s nothing you need to change, so just click “Deploy site”.